You can now pre-order The Selecter's new album Daylight (the fourth from this iteration of the band), which will be released on October 6, 2017 on CD, heavyweight vinyl, and digital download. As we previously noted, the band already has issued the first digital single off the record, "Frontline" (see the official music video below). The Duff Guide to Ska Presents: The Dirty Notion and The Applecores This Thursday Night in Manhattan! The Selecter with Pauline Black and Arthur "Gaps" Hendrickson have just released the winning new digital single "Frontline" to promote their upcoming album Daylight, which will be issued on October 6, 2017. Picking up where the powerful "Ghost Town"-like "Breakdown" left off (which is from their recent Subculture album, read The Duff Guide to Ska review here), the wildly catchy "Frontline" is critical of our smartphone/social media addicted society, where we have significantly more access to information and each other than ever before in the history of humanity, but actually seem to be increasingly disconnected, numb, and apathetic as a result. "Frontline's" reference to the extrajudicial/racial police killing of Eric Garner makes it also a call for real, in-person protesting and organizing for social justice and change--not Facebook posts that float without impact in the ether of cyberspace. 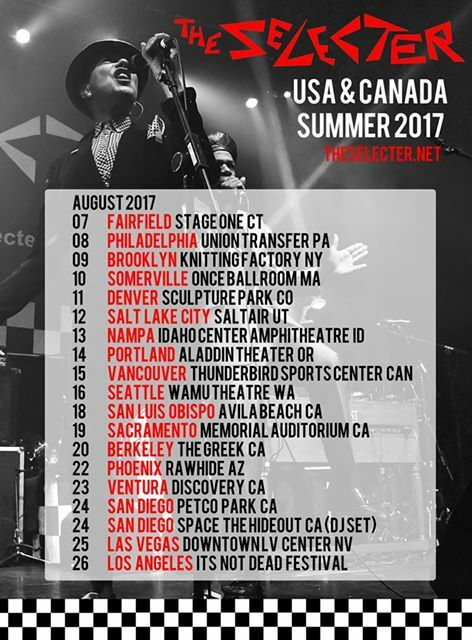 The Selecter will be touring the USA and Canada this August (see dates and venues above in the image). 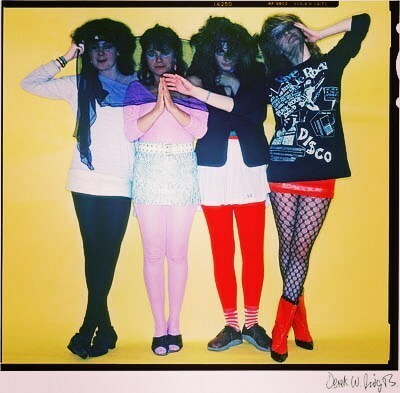 The NYC show also features openers Rude Boy George (who also are playing the Fairfield, CT date) and The Pandemics. 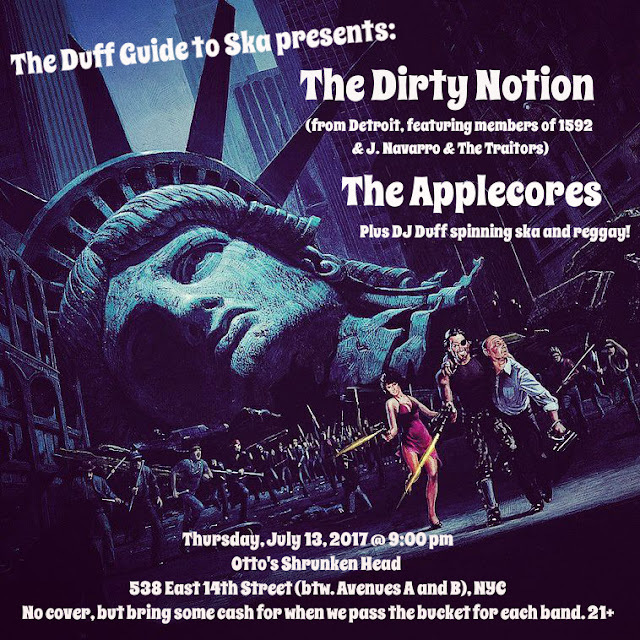 If The Selecter are coming anywhere near you, make sure to catch their performance--they're amazingly good these days (here's my write-up of their show in NYC last fall as proof).